We know that words can inspire love and hate, action and surrender. But sometimes the words we think have their intended force lead to the exact opposite of what we intended. Yet we are the ones enabling them! This is true even when it comes to well-meaning and ostensibly positive words that leaders often unknowingly use irresponsibly – and thus unknowingly create tension. For example, here are five words I believe leaders should stop using now: change, connection, development, engagement, and success. Surprised? Most people are because none of these words are negative. They just limit us from seeing opportunities actually overpower our ability to be truly open-minded. These words promote silos and victimization rather than diversity of thought. They suppress a mindset that sees value in individuals. They overwhelm our ability to forge like-mindedness through our mosaic of differences rather than forge a melting pot of inauthentic and manufactured assimilation. Ostensibly the 2016 Presidential election was about change. So was 2008 and 2000 and 1992 and.... But have things really changed? Not really. With some exceptions, what we usually get is change back to what the other side has been selling for decades – a repackaging of old templates for success. Maybe that’s because change isn’t enough – in politics or in business. We all want change, but few of us know how or want to evolve. Change and evolution require distinctly different mindsets. Change leads to substitution and that slows progress down.Evolution leads to reinvention and growth. Many companies have learned individuals define the business in the marketplace but fail to do allow those individuals the same power in the workplace. Companies say they want that same connection in the workplace but what they are often saying is, “You will connect to us.” This makes connection one-way street and merely puts people together in a room, bound by employment. As a result, most employees feel their individual goals are not respected let alone listened to and that their goals do not align with the company’s goals. What companies should want is alignment which implies reciprocity. Development usually means, “We’re going to develop you into what we want you to be.” What leaders should be doing is maximizing the potential of their people to better serve themselves and the company and create opportunities for everyone – encouraging employees to use their brainpower to innovate and create. Maximizing potential gets away from development by using templates of the past like job descriptions and titles that in no way reflect what an employee solves for and thus can solve for the company. The days of mere engagement are over. Engagement is not bad; it’s just not enough. It has become the equivalent of an “initiative” meaning something that starts and stops. Engagement doesn’t mean that you have to take ownership; it simply means you have to comply and be involved. Intimacy is what the workplace and marketplace needs. 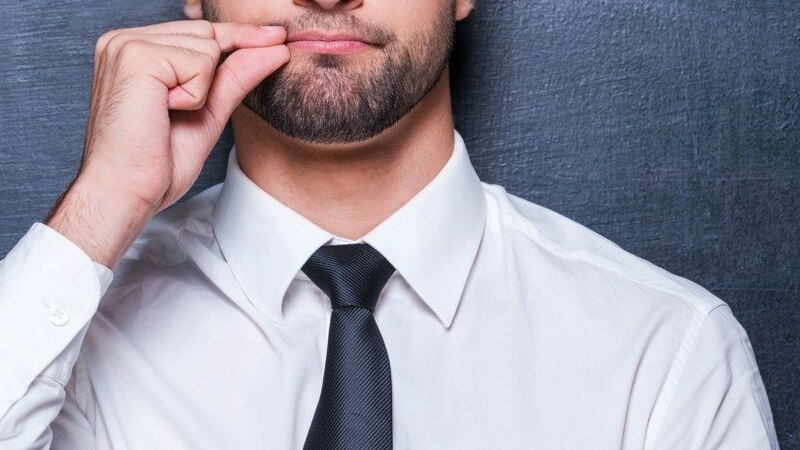 Leaders who lack that intimacy may be engaged but are ultimately disconnected, unable to quickly and nimbly deploy resources or people to seize and close the opportunity gaps. Many of us strive for the same things. We just want to get there in our own way. The problem is that too many businesses fail to enable people to shape and influence the future of companies as individuals. Companies get stuck trying to replicate success when they should be striving to create significance through new growth opportunities that leave a legacy. Why can’t more companies understand this? Because even when the company is not defining those individuals, the sweet smell of success pushes us to keep sowing the same seeds over and over for gains in the present instead of future legacies. That’s how we get stuck in substitution. Which brings us back to the most important new word in this list: evolution. Evolution leads to reinvention and growth. Evolution requires us to look at our own responsibility to grow and influence the advancement of something that is in the best interest of a healthier whole. Evolution means multiplying success for all. To evolve, we need a new mindset. I call this mindset the innovation mentality and it is the foundation of my new book: The Innovation Mentality: Six Strategies to Disrupt the Status Quo and Reinvent the Way We Work. Our growth as businesses and human beings depends on our abilities to develop our innovation mentalities. Our strategies for success in 2017 when it comes to everything from diversity and inclusion to consumer engagement must move people to the center of our growth strategies. Those strategies must become less about the business defining the individual and more about the individual defining the business. Our legacy demands that we turn the spotlight of accountability on ourselves to create a culture of significance for everyone.